These wine bottles were destined for the landfill where they would take a million years to break down. They have been reclaimed, re-purposed and up-cycled into beautiful hanging pendant lights, perfect for your kitchen, living room or anywhere you need some extra light. 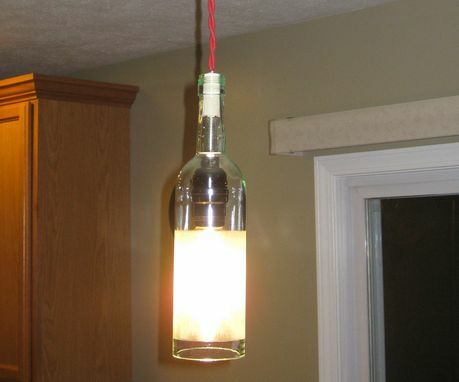 This is a generic listing for these pendant lights. 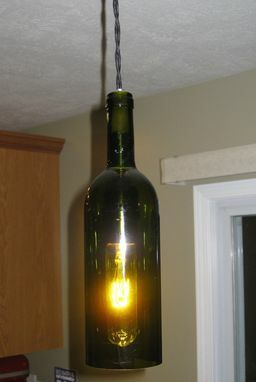 Each light (or set of lights) will be hand crafted to your custom specifications. 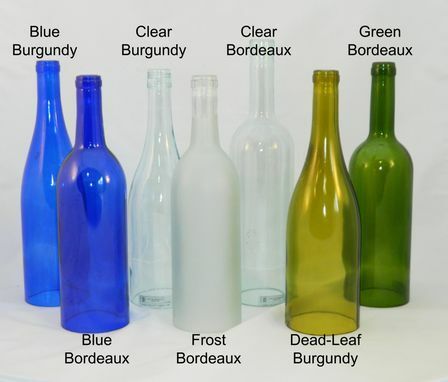 I have a number of different bottles in different styles and colors. 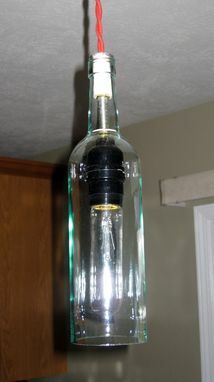 The Wine Bottle Pendants will average 11-12 inches tall and 3 inches wide. I also have different cord and canopy colors available. 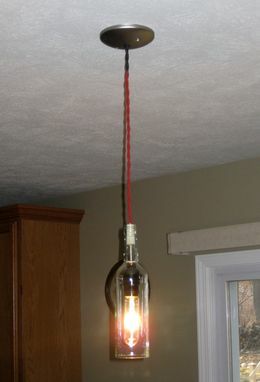 Featured in the photos is a brushed nickel canopy with red cotton twist wire and black rayon twist wire. Each pendant features a medium base (E26) socket and 5-inch ceiling canopy which comes in different styles. Custom etching is also available. Maximum 40 watt bulb. It is also possible that I may be able to get items and styles that are not listed here. Please contact me and let me know what you are looking for and we will work together to put together the perfect lighting package for your needs. * I will also ship internationally. If you live outside the United States and would like to purchase one of my items please contact me prior to your purchase so that I may provide you with an accurate shipping quote. Thank you. By Milton Douglas lamp Co.